During World Missions Week in January, chapel featured a variety of speakers, including itinerant evangelist Randy Clark, Fuller Seminary professor Charles Kraft, missionaries Peter and Tammy Russell, Fuller dean C. Douglas McConnell, Bread for the World representative David Gist and Kay Marshall Strom ’65, author of a book on Christian women persecuted for their faith. Vocation Week, “Many Stories, Different Callings,” explored various aspects of vocation, calling and career choices. Chapel speakers addressed a range of topics: “Myths About the Will of God,” (Rev. 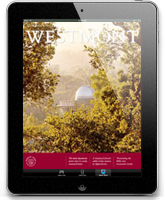 John Ortberg, teaching pastor of Menlo Park Presbyterian Church); and “Caught Between Two Worlds: Vocation, Money and Possessions” (Rick Ifland ’83, managing partner for Atera Partners LLC). 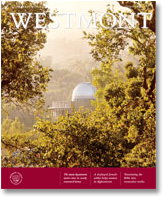 To listen to these talks, see “Chapel Online” under “Hot Links” at www.westmont.edu.